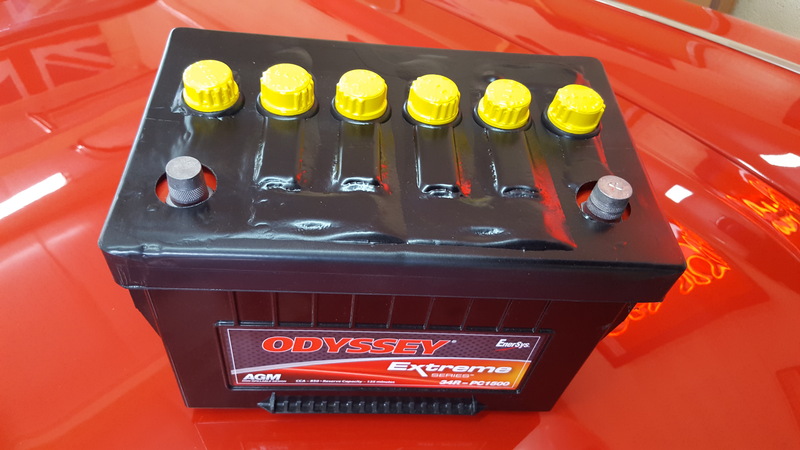 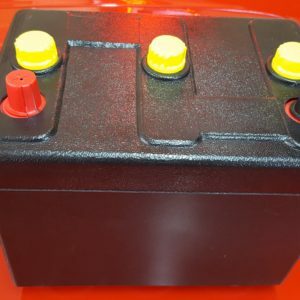 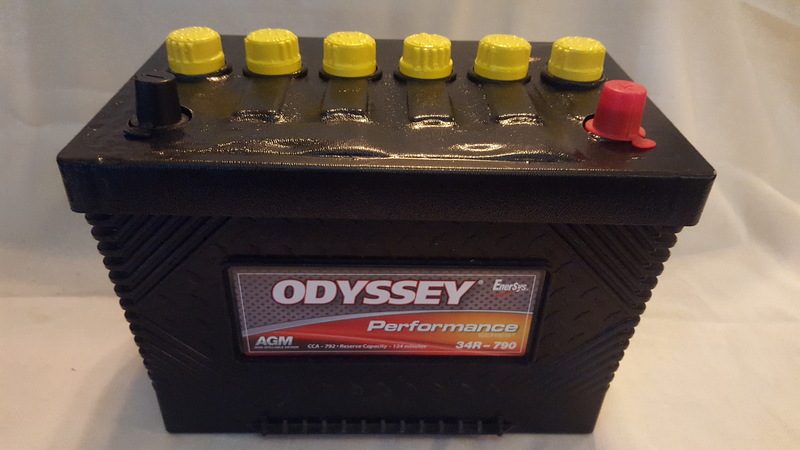 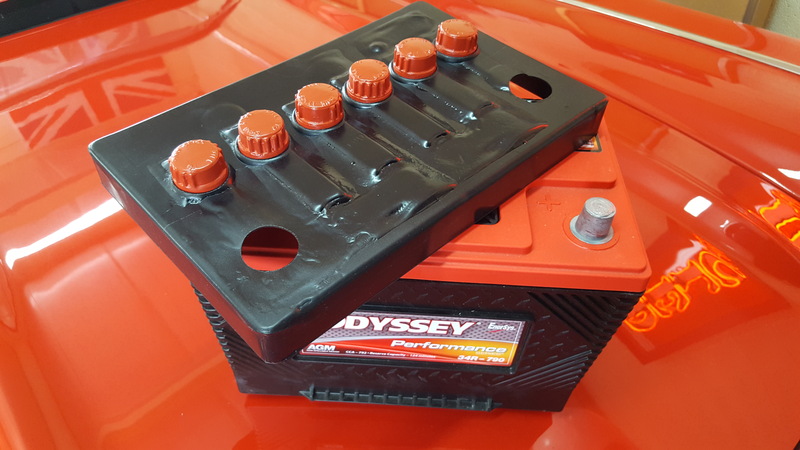 Tar Topper ODYS is designed for Odyssey Group 34 AGM batteries. 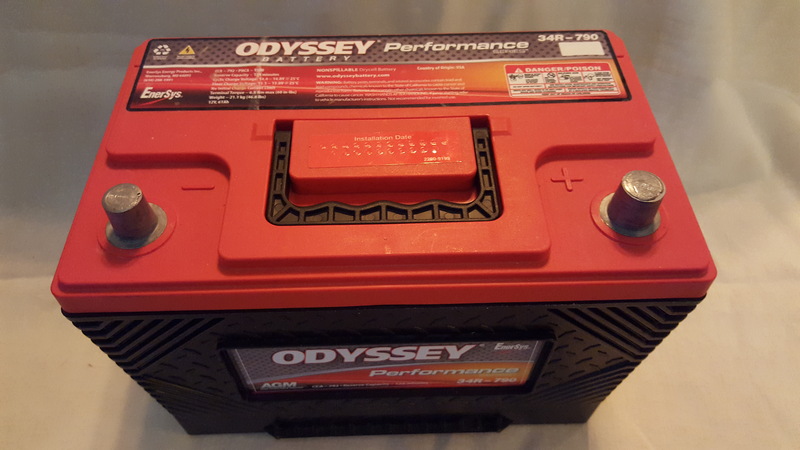 It is compatible with the 34R-790 and 34R-1500 models. 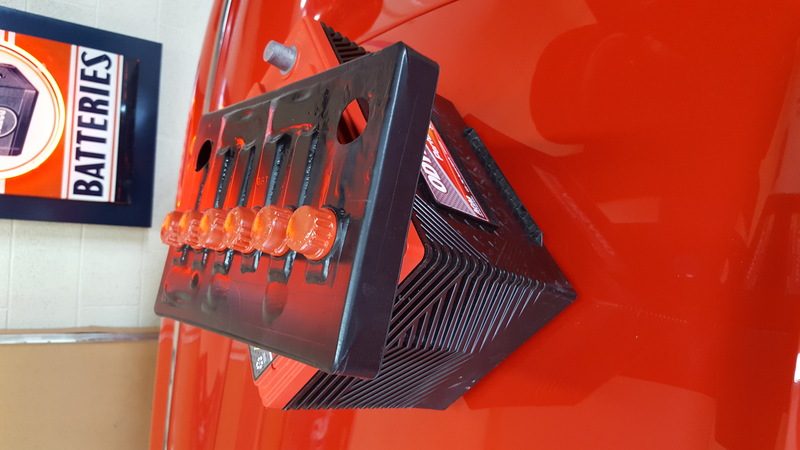 Completely covers red top down to ridge line. 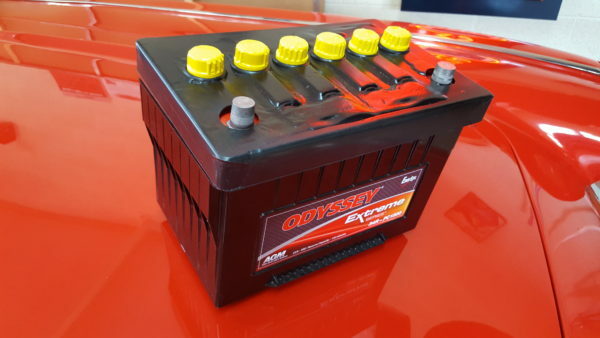 Huge Thanks for the cooperation of EnerSys, manufacturers of Odyssey batteries. 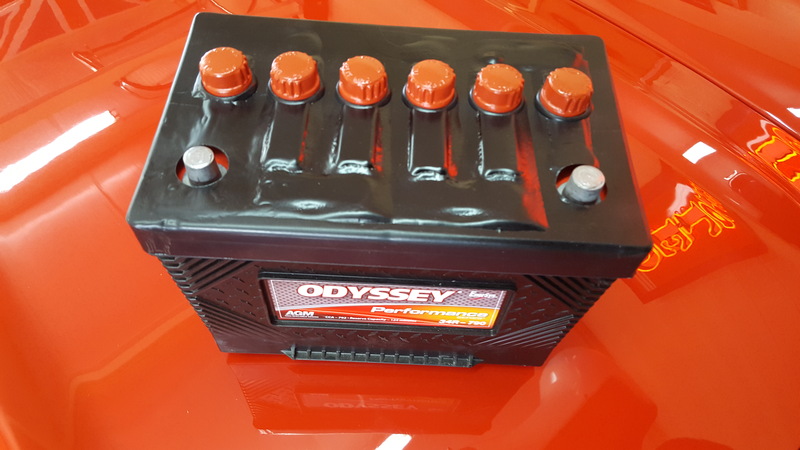 We have developed the Tar Topper ODY-34 vintage appearance package for their great 34-R Series dry cell batteries. 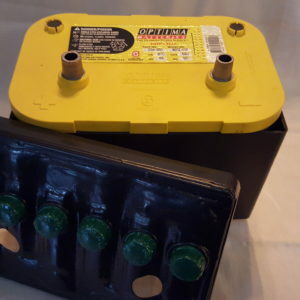 The top dimensions of this Tar Topper are quite close to the vintage group 27 battery. 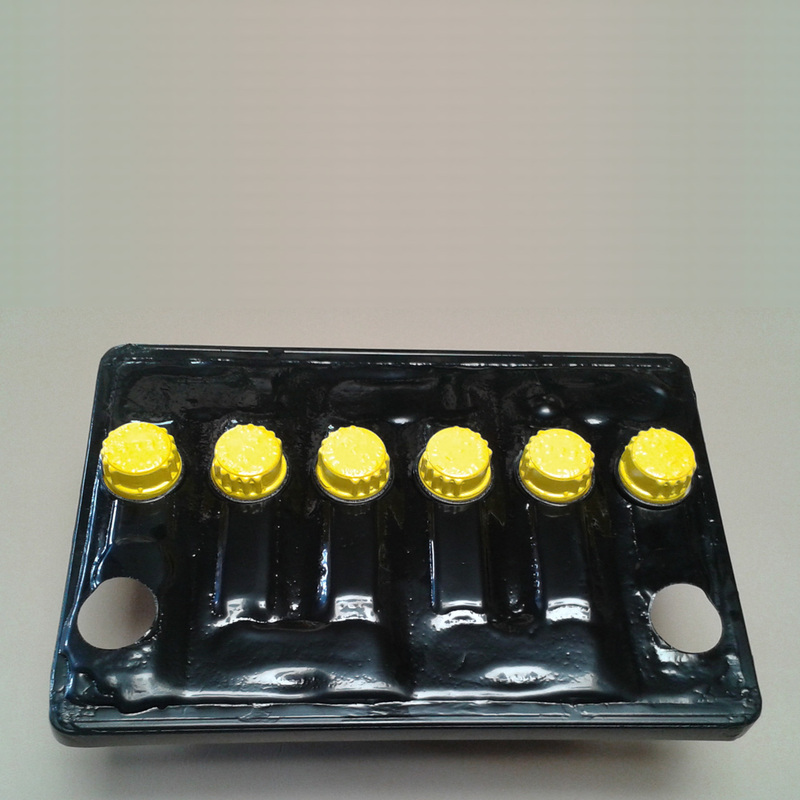 As with all Tar Toppers, all cap colors are available.